As soon as you become a parent everyone (relatives, friends, baby product companies) becomes a soothsayer warning you of the terrible twos in much the same way as Caesar was told about the ides of March. There are a hundred and one guides on what to do, and if your child was a badly performing computer program they might be helpful. No one prepares you for what the day-to-day reality of living with a toddler will actually be like. The Emperor's Diaries is the journal of a mother and baby sharing that journey from the second to the third birthday. 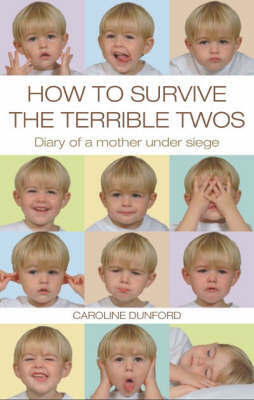 Anyone about to cross into this dangerous area of parenthood will not only empathise with the humour and realism of this book, but also find a series of essential tips and reassurance for surviving the experience of the terrible twos.